This is amazing. Love the illo style and that yellow circle works so well. Rad. dude this has teefury written all over it. It'll make a boatload there. 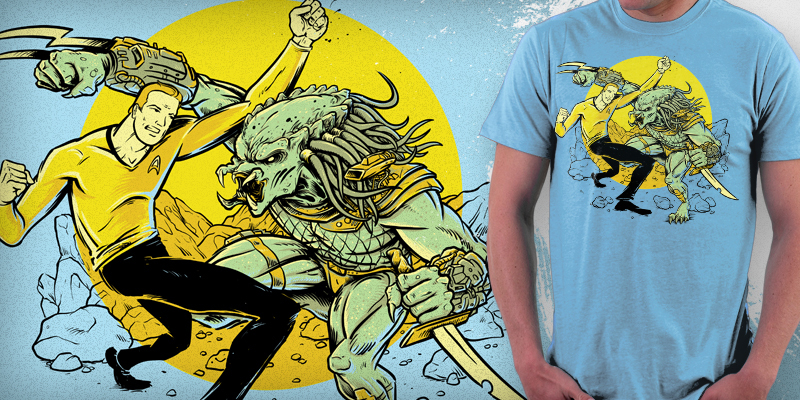 OmegaMan said: dude this has teefury written all over it. It'll make a boatload there. Do it, this is golden. I could guarantee a good grand off of this. yeah, this is great. definitely sub it to TeeFury. Thanks, guys! Glad you dig it. But yeah, like I said, it was pretty much just for fun... not sure if it would fly copyright-wise at TeeFury. I love it! I think is really amazing and you should find out a way to get it printed. one of the best things i saw here in months! love it!